> conform to, not the other way around. I see no photo that shows that those figures are raised above the surface plane. 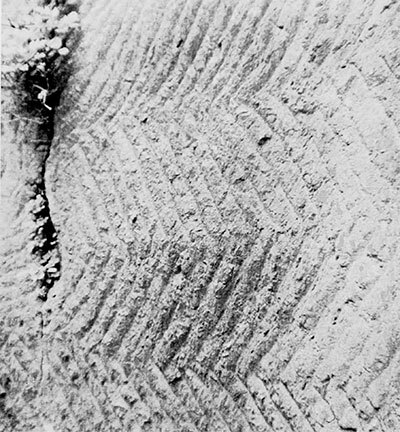 Rather, in several photos those figures appear to be engraved below the level of the main face plane. In addition, the linear tool marks around those figures are not nearly as precise and parallel as they are in the surrounding areas of the larger plain surfaces of the walls, columns, and ceilings. 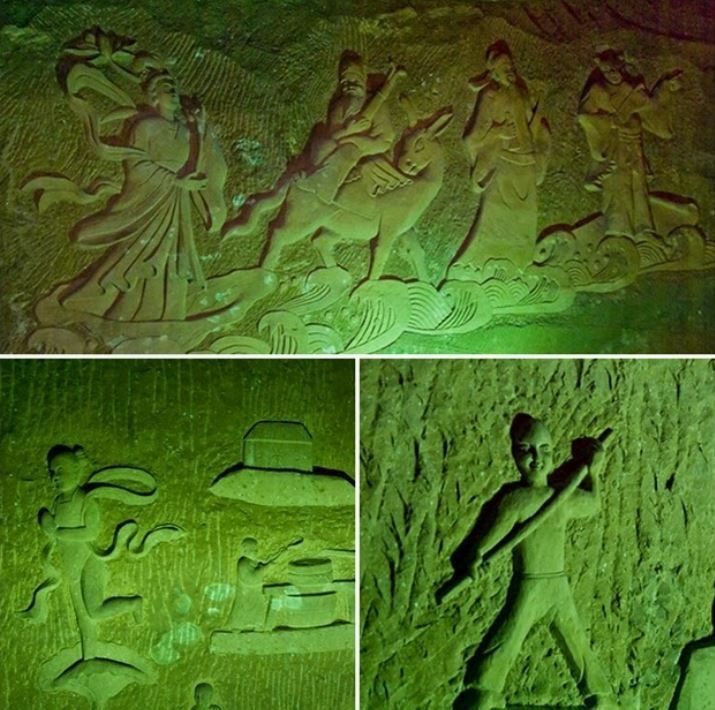 This suggests that those figures may have been added after the main excavation that formed the bulk of those caverns. 1. The figures on the right wall are within a field that has been sunken into a concavity below the wall plain to allow the figures to emerge "raised". 2. column in the center shows a wraparound graphic that's sunken below the plane of the excavation tool marks. -- Marker 14:05:Note the left wall figures which are sunken below the wall's face plane. 1. Note the column on the right where the wraparound graphic is sunken below the face plane of the column. 2. Note on the back wall how the entire field of figures is sunken behind the main tool marks on the wall. It seems clear where the concavitiy begins according to the disruption of the vertical tool marks on the upper aspect of that wall. And note the total absence of such tool marks to the left of the worker. It's not obvious that those parallel tool marks are made with a hand held chisel. 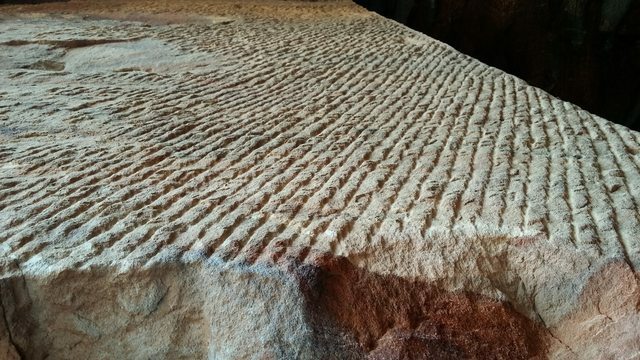 The worker in the photo isn't working on that section of stone, so how do we know how those striations were created? 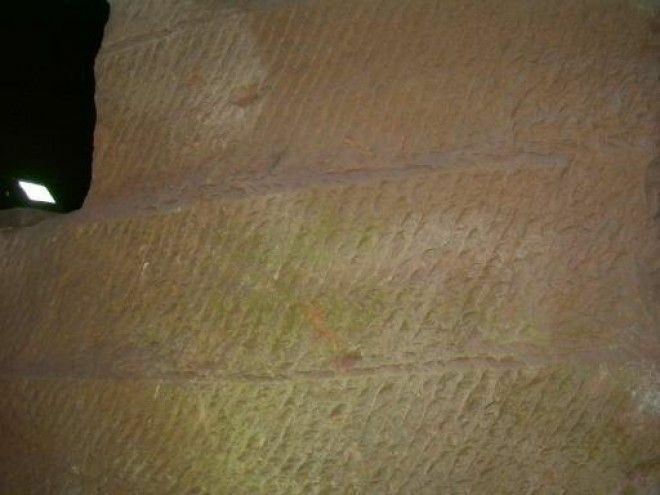 Also, unless that worker is ambidextrous, he's of the opposite handedness vs. the worker who made those parallel tool marks on that stone face. This excerpt is about the separation trench, not about shaping the face of the stone after separation from an adjacent block. > quarried no different in ancient times than today. Edited 8 time(s). Last edit at 26-Apr-17 15:08 by Origyptian.